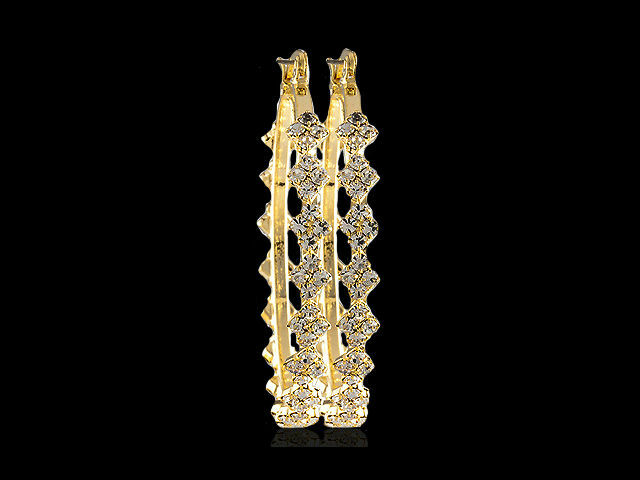 Pair of beautifully handcrafted Gold Layered CZ Cubic Zircon studded bangle hoop earrings. 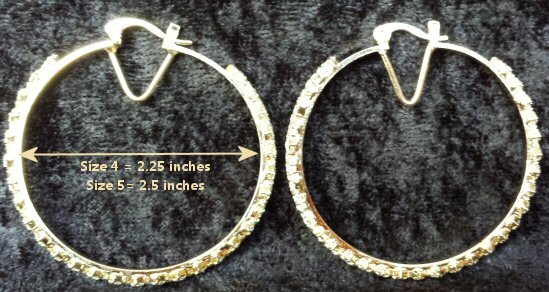 These 4mm wide CZ hoops contain superior quality CZ crystals that are prong set, with a sturdy V bridge for support. 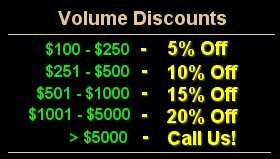 Get the diamond look for a fraction of the price! 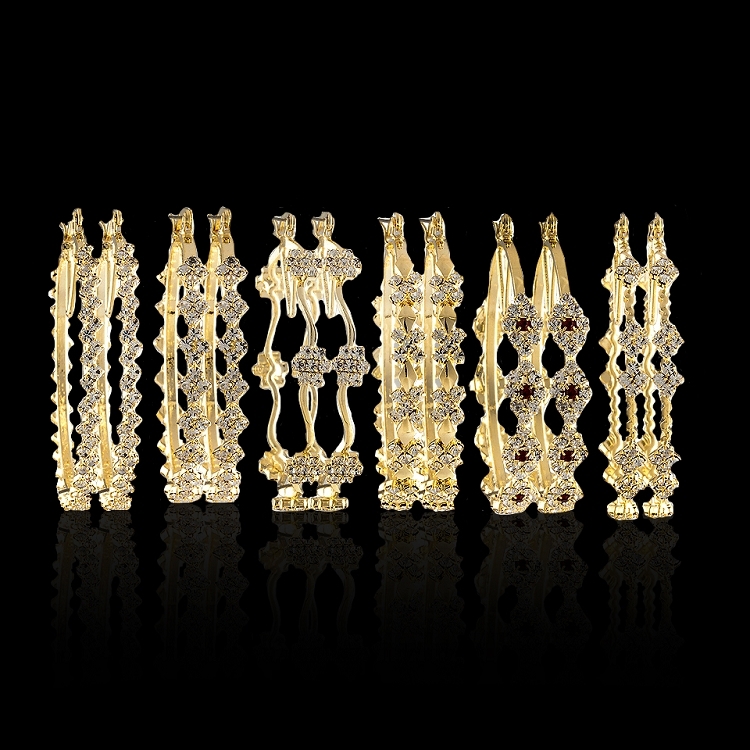 Try these CZ earrings with our CZ bangles that match! You can't go wrong with these at any party or that special occasion. Select from small, medium or large size. Multiple stone cut designs available!